Audi’s new RWS moniker stands for Rear Wheel Series, signaling loudly and proudly that this second-generation R8 is a non-Quattro rear-drive purist-focused powerhouse (and likely the first of many rear-drive versions of Quattros). Just 999 R8 V10 RWS models will be made, so you better get your order in quickly. At 540 horsepower, it’s sandwiched between the R8 V10 Quattro and the R8 V10 Plus on paper, but that’s before you consider the reduction in mechanical drag and lower weight rear-wheel drive offers over Quattro. 0-60 mph is a claimed 3.7 seconds (0.2 seconds slower than the Quattro R8) but the top speed remains unchanged (199 mph). 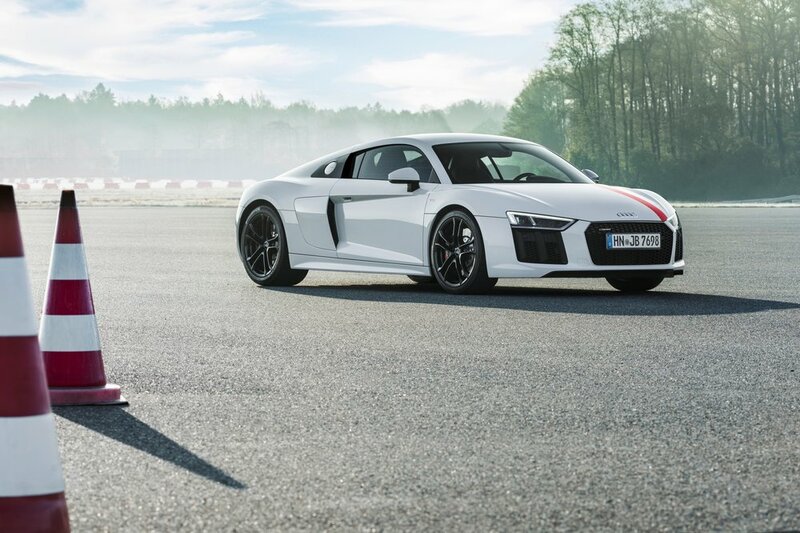 The R8 V10 RWS shares most of its DNA with the Quattro – there’s still a seven-speed automatic dual clutch transmission. The RWS can be spotted in a lineup by its matte-black grille, upper side blades on the coupe and black rear airflow openings. Wheels are black 19-inchers and there’s an optional red vinyl trim stripe. Small quantities of the 999 V10 RWS will be making it to U.S. shores in 2018. Prices are expected to be anything up to $31,000 lower than the R8 V10 Quattro, making this limited edition de-contented sports car a potential bargain.